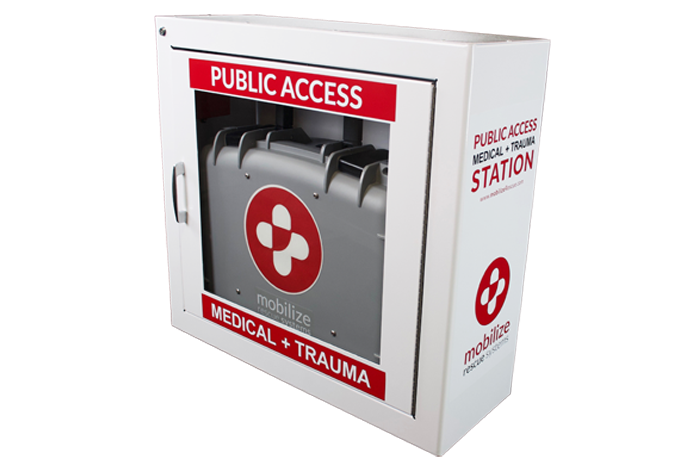 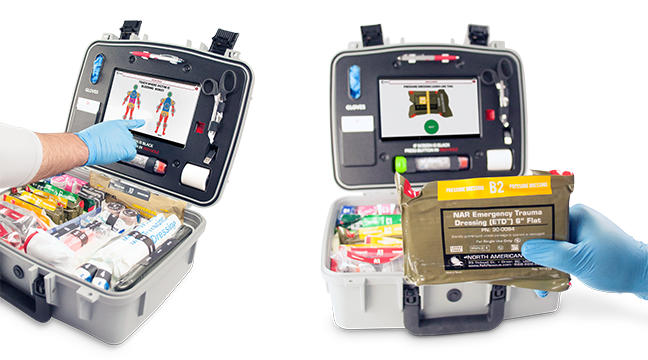 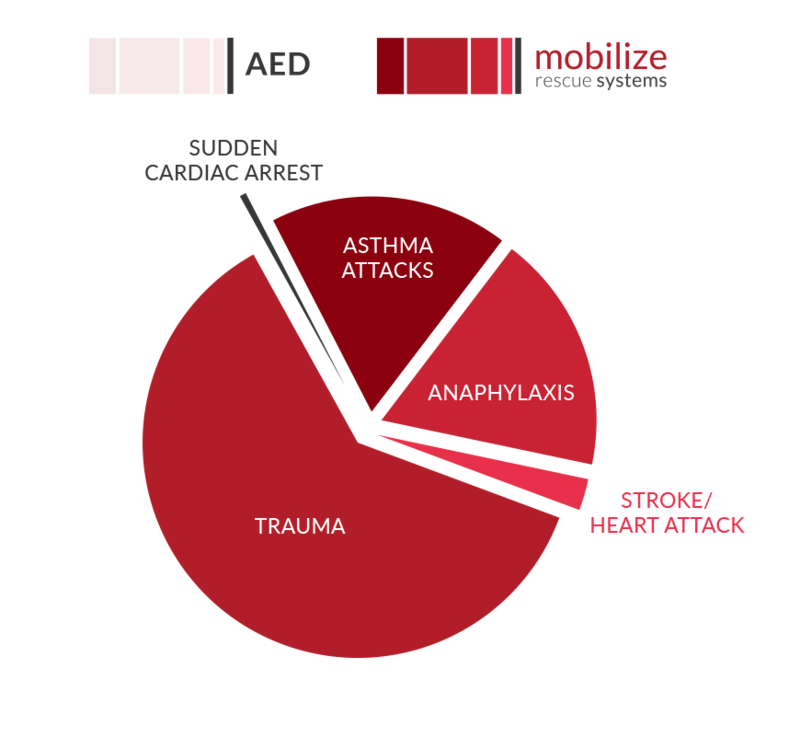 The perfect complement to your AED | Be ready for the unexpected. 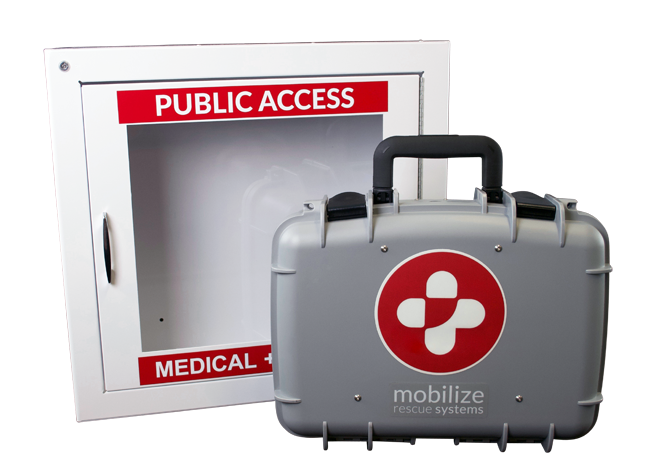 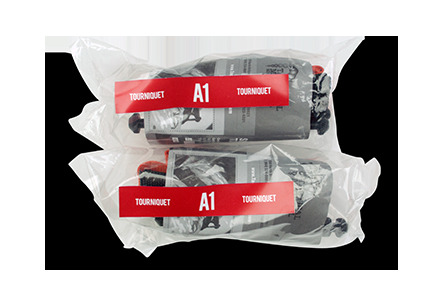 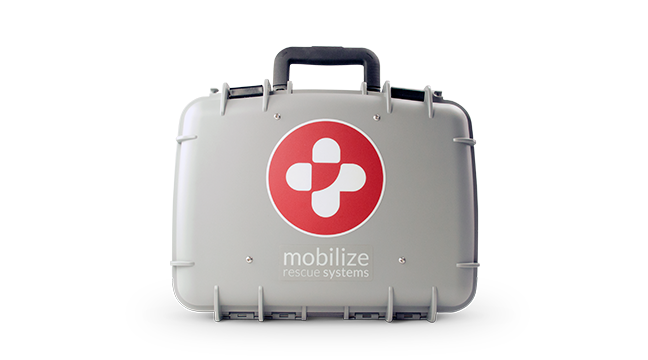 Water-resistant, durable case protects the life-saving supplies until they are needed. 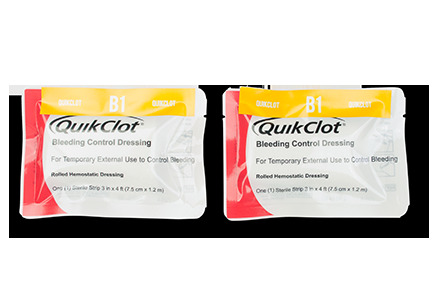 Water-Jel® Universal Burn DressingWhat it is used for: To cool and dress major burns. 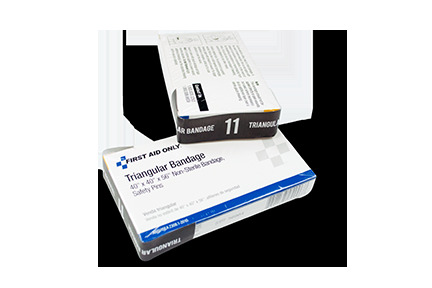 Triangular BandageWhat it is used for: To create a variety of first aid bandages, slings and swathes. 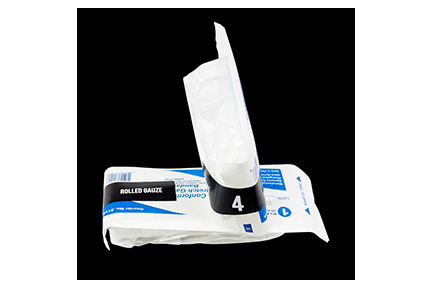 4.5” Sterile Conforming Stretch GauzeWhat it is used for: To hold bleeding control dressings in place. 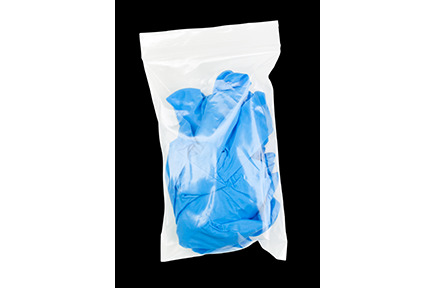 5" x 9" Sterile Combine ABD PadsWhat it is used for: To cover wounds with minor bleeding. 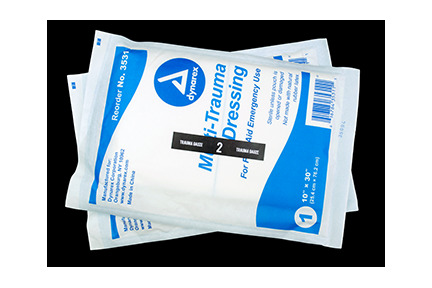 10“ x 30" Sterile Multi-Trauma DressingWhat it is used for: To cover large size wounds with minor bleeding and to stabilize impaled objects. 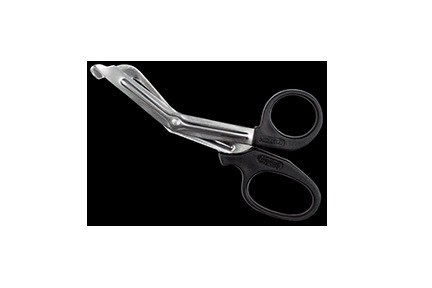 36" SAM® Emergency SplintWhat it is used for: To stabilize broken bones. 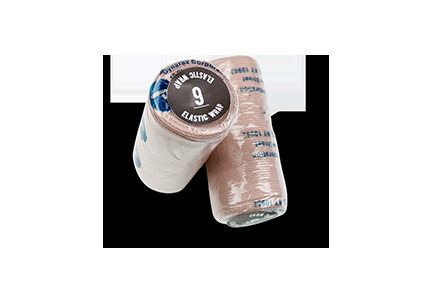 4" Elastic Wrap BandageWhat it is used for: To hold splints in place. 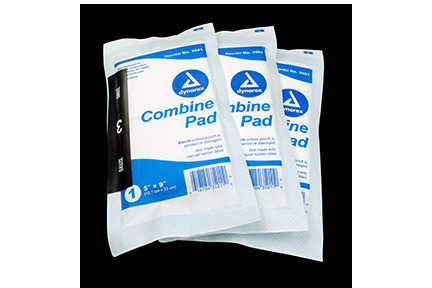 4" x 5" Cold CompressWhat it is used for: To reduce pain and swelling for sprains and broken bones. 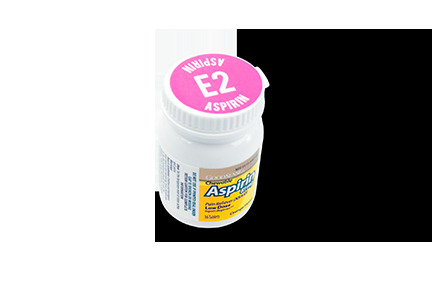 81mg Chewable Aspirin (Bottle)What it is used for: To begin reversing a blood clot in the heart during a heart attack. 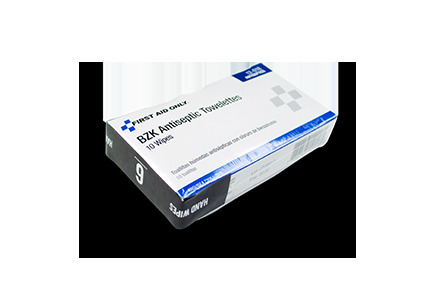 12mg Dissolvable Allergy Tablets (Box)What it is used for: To begin reversing a serious allergic reaction. 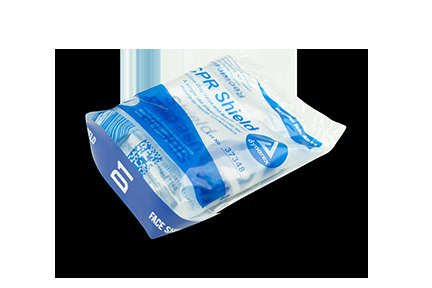 15mg Insta-Glucose®:What it is used for: To reverse diabetic shock. 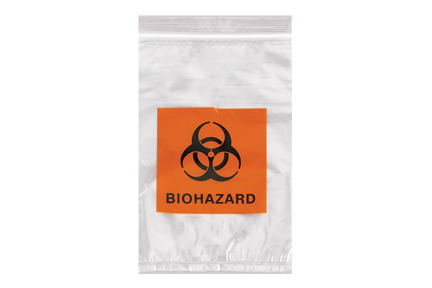 Bag with Biohazard MarkingsWhat it is used for: To discard trash from an incident. 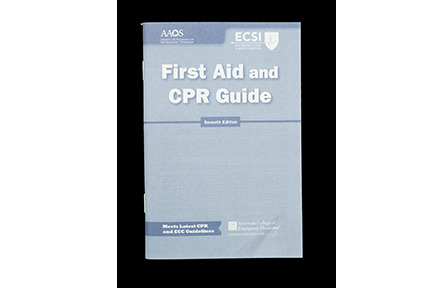 First Aid GuideWhat it is used for: To assist with learning basic first-aid procedures. 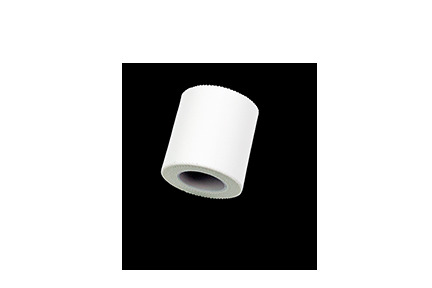 Adhesive Tape 2.5 ydWhat it is used for: To tape dressings and stabilize impaled objects. 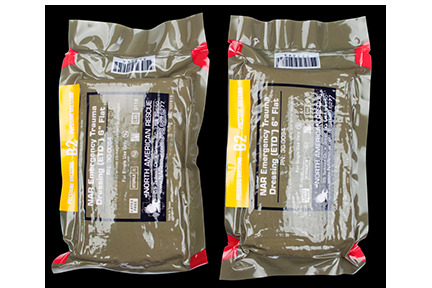 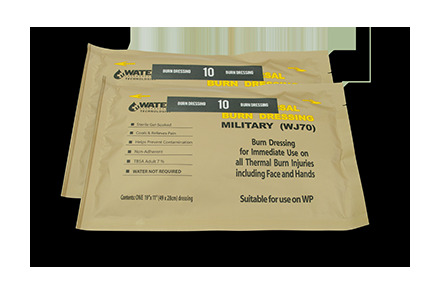 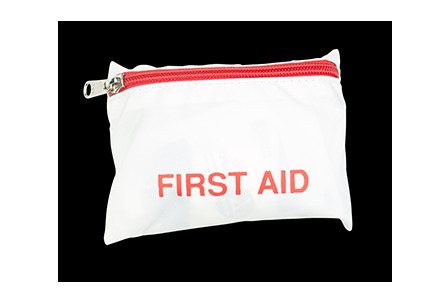 General First Aid Pouch What it is used for: Contains OSHA compliant first aid supplies. 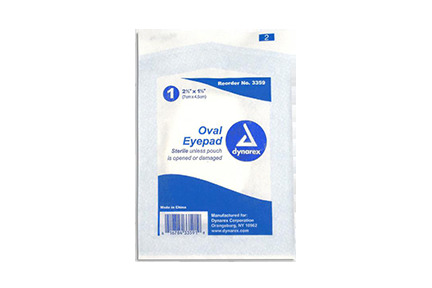 Eye PadsWhat it is used for: To dress injuries to the eyes. 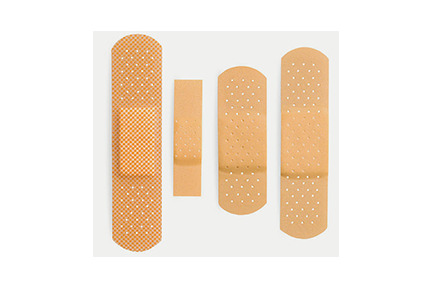 Adhesive Bandages (Assorted Sizes)What it is used for: For minor cuts and scrapes. 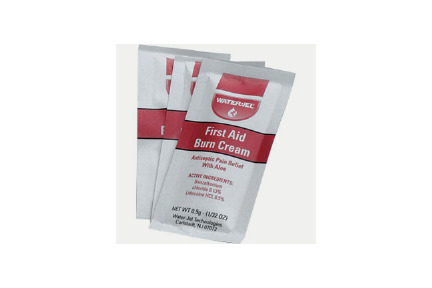 Burn Cream PacketsWhat it is used for: To cool minor burns. 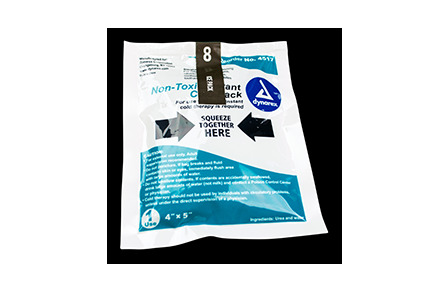 Triple Antibiotic Ointment PacketsWhat it is used for: To keep minor cuts and scrapes clean. 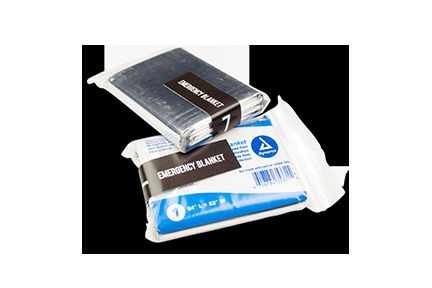 Antiseptic WipesWhat it is used for: For the rescuer to clean up after an emergency when soap and water aren’t immediately available. 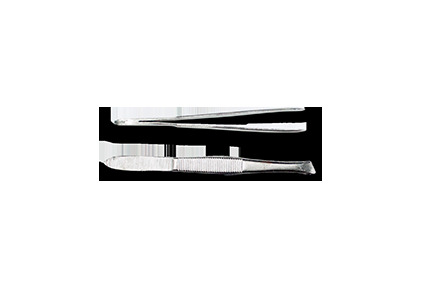 TweezersWhat it is used for: To remove splinters and stingers. 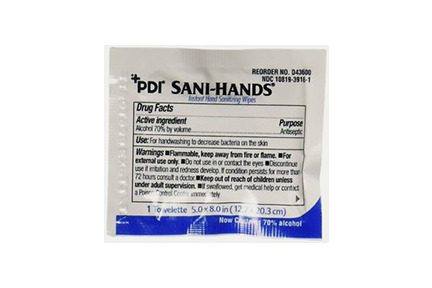 Hand SanitizerWhat it is used for: For the rescuer to clean up after an emergency when soap and water aren’t immediately available. 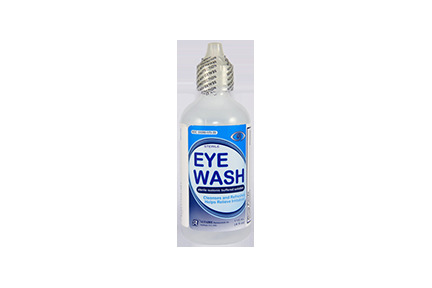 Eye WashWhat it is used for: To flush minor dust and debris out of an eye. 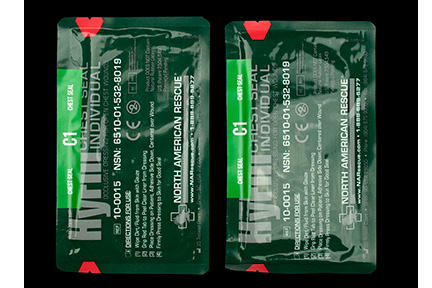 OSHA Compliant First Aid Supplies .